U.S. Geological Survey map shows the location of the quake. A magnitude 3.4 earthquake hit the seismically-active region of northern Baja California at 8:13 a.m. Sunday, with enough force to have been felt in San Diego County. The shaker hit about 30 miles south of Mexicali, or about 120 miles east-southeast of San Diego. 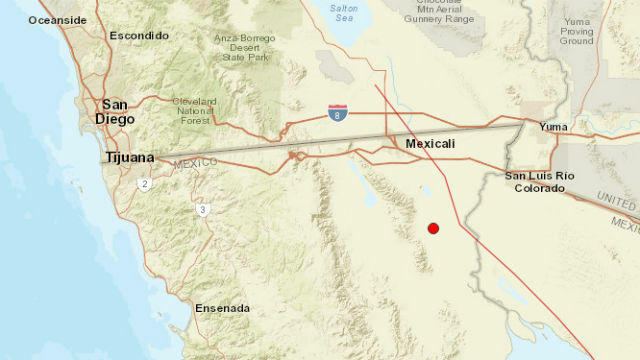 Earthquakes of that size are often felt in Jacumba and other areas of East County.